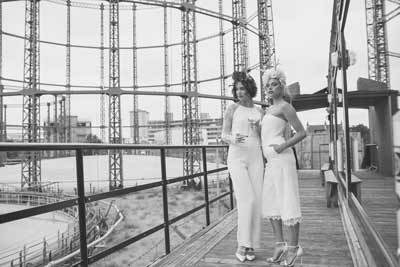 The awarded House of Ollichon is the only dress-less bridal collection in the world offering brides and bridesmaids a range of luxury bridal jumpsuits and two-pieces all handmade in London. Using beautiful French laces, Italian fabrics and British embellishments House of Ollichon's bridal collection promises to offer something for all those who feel a dress is simply too much fuss on their wedding day. 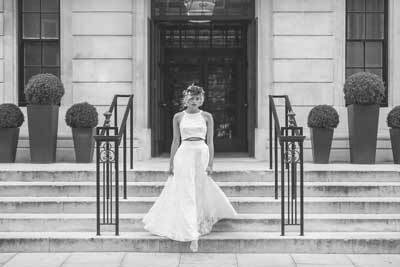 As Hannah experienced herself, bridal trends are changing rapidly; we want to feel relaxed and comfortable without compromising on feeling incredibly special, being able to dance like crazy and not spend a fortune on one outfit for one day. House of Ollichon offers all of this with a modern experience, a personal touch and affordable luxury. We hope you find all you’re looking for. The Budget Bride Company was launched to bring inspiration to brides who wanted the wedding of their dreams but just couldn’t stretch to that “average wedding spend” of £20,000. With a free Wedding Venue Finding Service, Budget Wedding Supplier Directory, Wedding E-Courses and a Blog packed with Budget Wedding Inspiration, make www.budgetbridecompany.com your first stop for planning your wedding beautifully on budget. A gorgeous, bespoke name change service that takes away the pain of changing your name after getting married! Whether you are taking a new surname or double-barrelling your partner's surname with your own, the process of updating all of the companies and organisations you are associated with can take up hours of your time. With Love My New Name, the process is quick and easy. The fully secured form at https://lovemynewname.co.uk takes around five minutes to fill in, and your fully personalised Name Change Pack with exact details for how to change your name will be sent straight out to you. The Love My New Name service even provides you with any necessary letters and faxes ready for you to print, sign and send. Hi, I am Raymond, the four-eyes behind Raymond Lin Photography. Storytelling is the essence of the photographs that I capture and a wedding day is more than just photographs, it is a story. I have been photographing weddings since 2009 and have been honoured to have photographed some of the most beautiful and loving people I have ever met. I am thrilled to say that some of these people have become my friends. Wool & Water is an unexpected knitwear label for modern curious dreamers, just like you. Our handmade, finely knitted Bow Ties, Braces/Suspenders and Skinny Ties are knitted by Alice in Amsterdam using only natural fibres such as; Merino, Lambswool and Cotton. A Wool & Water piece is an outfit detail that communicates a spark of imagination and a flash of originality. Handcrafted accents that inspire a second look, ignite a conversation and identify a kindred spirit. Bespoke & Customised options available including colour coordinating to your theme or partner and your special date hand embroidered on your bespoke piece as a wonderful memento.